Hippocampus: The hippocampus is the part of the brain that is associated primarily with memory involved in forming, organizing, and storing memories. The hippocampus is a limbic system structure that is precise connecting emotions and senses, such as smell and sound, to memories. The hippocampus is an arching band of nerve fibers (fornix) combining the hippocampal formations in the left and right brain hemispheres look like a horseshoe-shaped structure. The hippocampus is located in the brain’s, inner medial region of temporal lobes and works as a memory indexer by transferring memories out to the relevant part of the cerebral hemisphere for the long-term storehouse and retrieving them when necessary. It is also deemed to play an influential role in spatial processing and navigation. The hippocampus anatomy is of chief significance to its function. The hippocampus accepts input from and also sends output to the rest of the brain via an arrangement known as the entorhinal cortex, which is found beneath the anterior (frontal) zone of the hippocampus. The hippocampal formation includes the two gyri (brain folds) and the subiculum. The two gyri, the dentate gyrus and Ammon's horn (cornu ammonis), make interlocking connections among one another. The dentate gyrus of the hippocampus is folded and nestled inside the hippocampal sulcus (brain indentation). Neurogenesis (new neuron generation) in the adult brain happens in the dentate gyrus, which takes input from other brain regions and aids in new memory formation, learning, and spatial memory. Ammon's horn is another name for the hippocampus proper or hippocampus major. It is split into three fields (CA1, CA2, and CA3) which process, send and receive input from different brain regions. 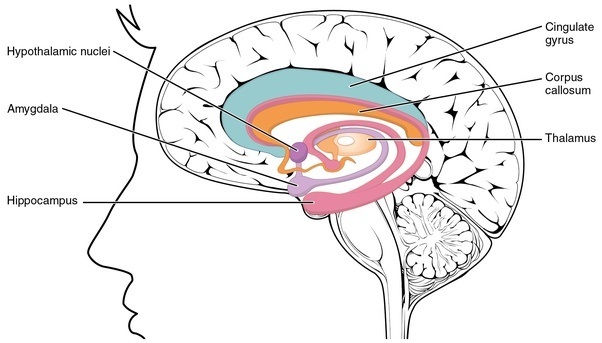 Ammon's horn is connected with the subiculum, that serves as the main output source of the hippocampal generation. The subiculum combines with the parahippocampal gyrus, a section of the cerebral cortex that encompasses the hippocampus. The parahippocampal gyrus is associated with memory storage and recall. The hippocampus is crucial for transforming short-term memories into long-term memories. This role is important for learning, which relies on memory recognition and proper merger of new memories. The hippocampus performs a function in spatial memory as well, which requires taking in information about one's surroundings and retrieving locations. This understanding is necessary in order to navigate one's environment. 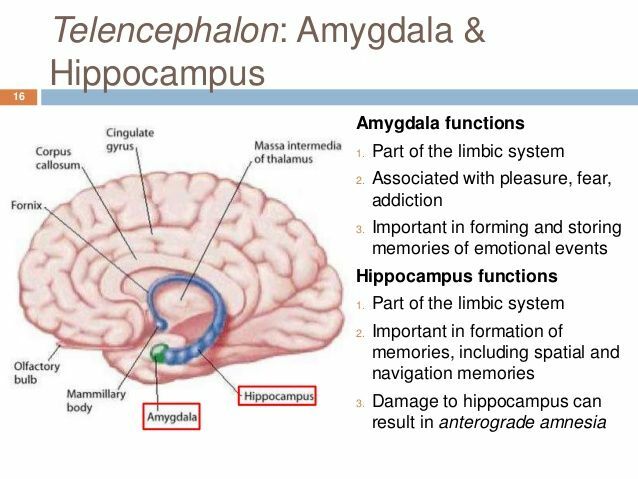 The hippocampus further works in concert with the amygdala to fortify our emotions and long-term memories. This process is important for assessing information in order to react appropriately to situations. Hippocampus is associated with cognitive ability and memory retention, people who undergo damage to this area of the brain have the problem recalling incidents. The hippocampus is the focus of attention for the medical fellowship as it associates with memory dysfunctions such as Post Traumatic Stress Disorder, epilepsy, and Alzheimer's disease. Damages the hippocampus by making tissue loss. 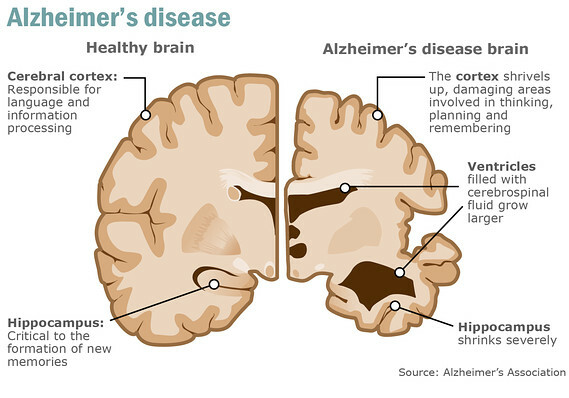 Researches have shown that Alzheimer's patients who persevere in their cognitive ability have a larger hippocampus than those including dementia. Chronic seizures, as encountered by individuals with epilepsy, further damage the hippocampus making amnesia and other memory-related problems. Lengthened emotional stress negatively influences the hippocampus as stress causes release cortisol from the body, which can harm neurons of the hippocampus. Alcohol negatively affects the hippocampus while consumed in excess. Alcohol affects certain neurons in the hippocampus, hindering some brain receptors and initiating others. These neurons regulating steroids which intervene with learning and memory generation following in alcohol-related blackouts. Heavy long-term drinking becomes similarly shown to lead to tissue damage in the hippocampus. MRI scans of the brain designate that drunkards do to have an inadequate hippocampus than those who are not heavy drinkers.